Years ago, my sister casually shared a song with me called “Comme des Enfants” by Coeur de Pirate, simply because she thought I’d like it. Little did she know, I became instantly hooked, immediately Google-stalked the artist (in a non-creepy way, of course ;)) and have been following her since that fateful day. Watch this and you’ll understand. So, can you blame me? Her cool style, quirky humor and amazing piano skills make it hard not to like her. Not to mention, she’s also bilingual in French and English as a native French Canadian. Goodness gracious, what talent does she not possess? As if I didn’t already feel terrible about myself… Smh. Béatrice Martin goes by Coeur de Pirate, which literally translates to “heart of pirate”, as her stage name – identifying herself as a band instead of a single musician. She broke into the indie Canadian and French music scene with her upbeat and melodic songs from her first album and has been a rising star ever since. More recently, she started writing and singing in English more often and released her latest record: Roses. This is amazing for me, personally, because I can finally understand what her music is about now. Though, not going to lie, this never stopped me from singing along in horribly mispronounced French. Sorry to all you Francophones! Her music is easy to love even without having a clear understanding of the content. It has sophisticated and layered compositions swept with dominant and colorful piano melodies. Like her previous albums, Roses continues with lovely piano and rhythm arrangements with uplifting and meaningful lyrics. 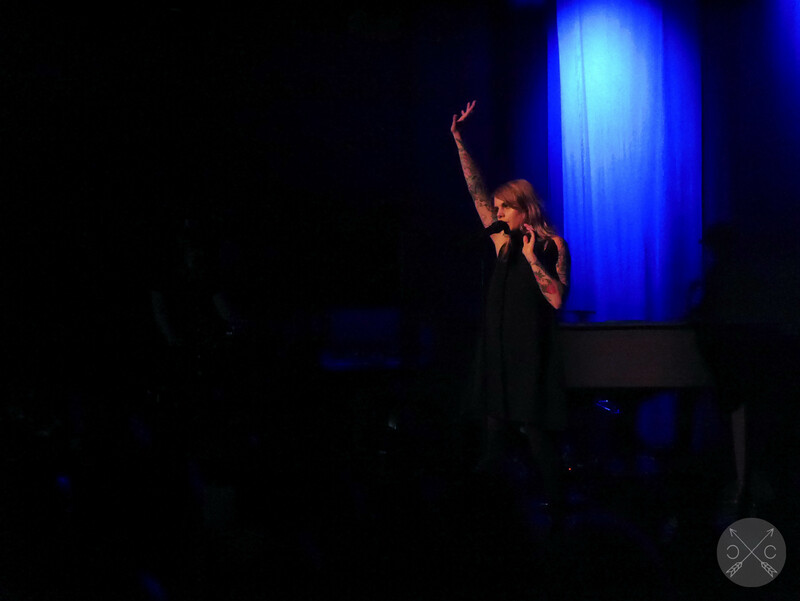 Coeur de Pirate has been taking the States by storm as she is touring to promote her new album and connecting with American audiences. Not only did Nanette and I get to catch up with Béatrice while she was on tour, but we were also able to attend her live performances in both San Francisco and Brooklyn. 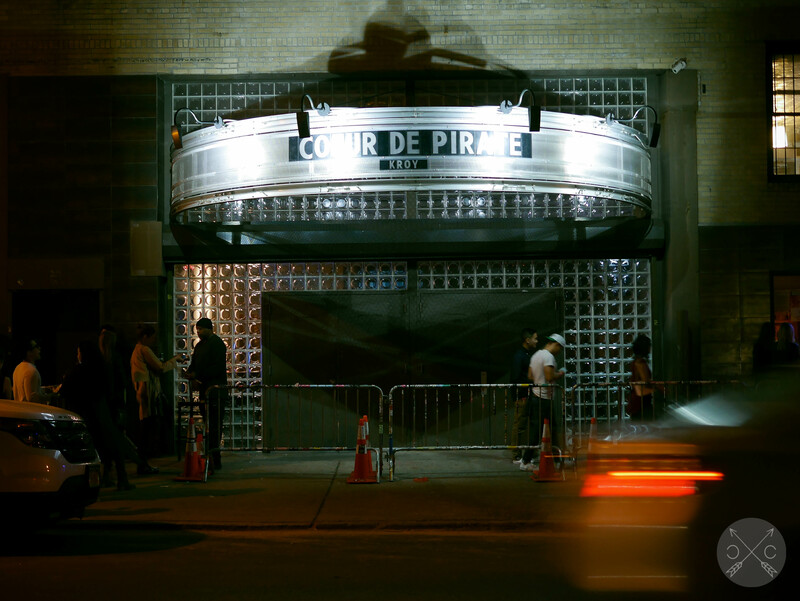 This time around, Coeur de Pirate played at Bimbo’s 360, a speakeasy-style jazz club in the heart of North Beach. It was a very different ambiance since the last time I saw her at Great American Music Hall, which was a little more hipster and not as intimate. I can definitely say that Béatrice shines in more intimate venues, where she casually chats to the audience like we’re all good friends. It’s interesting to watch her grow as an artist. In a few years, she’s definitely grown more comfortable with the stage. More conversations and a lot more physical. Rather than staying at the piano the whole show, she moved across the stage, dancing and singing which was reminiscent of Florence and the Machine. She has only gotten more mesmerizing, and it reminds me of why I love seeing singer/songwriters live. 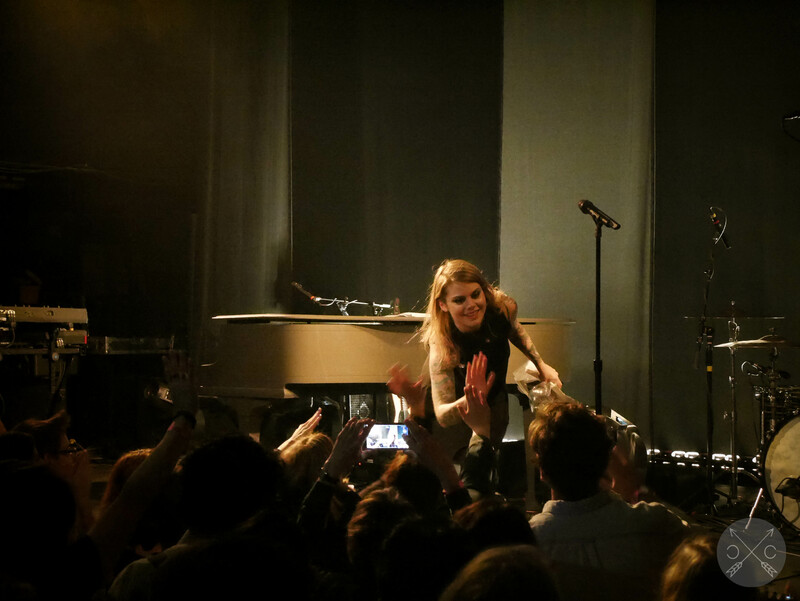 Over in New York, Coeur de Pirate played at the Music Hall of Williamsburg – a smaller, intimate venue. Perfect for her music. The show pulled in quite a crowd, including a rather large French-speaking audience. This isn’t too surprising since New York attracts many French-speaking transplants from all over the world. Béatrice had incredible stage presence and instantly commanded the attention of her fans the minute she walked onto stage. Her sweeping and unique dance moves seemed to be orchestrated with her music, never leaving a dull moment. She sang old and new as well as French and English songs, catering to and joking with the diverse crowd. Overall, it was an incredible live performance that’s worth catching whenever you get the chance! 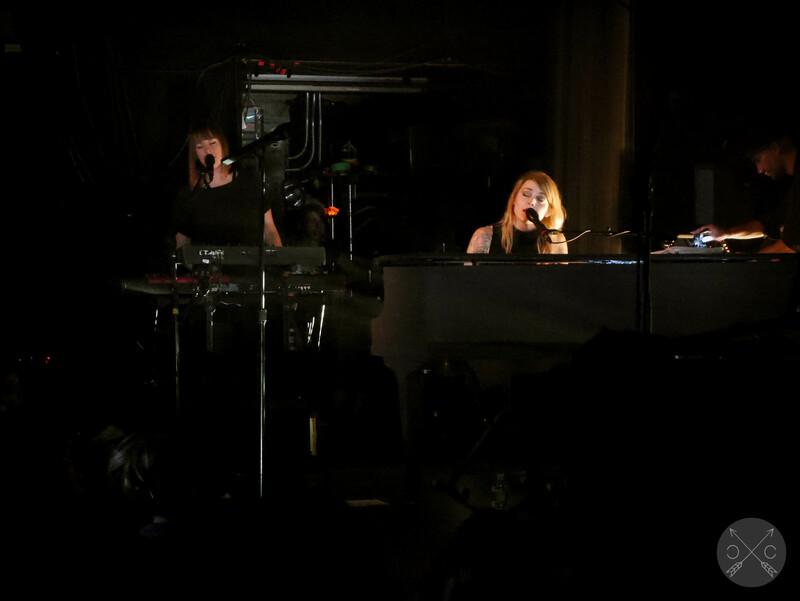 Before these shows, Nanette and I got an opportunity to speak with Béatrice and are excited to share our exclusive interview with Coeur de Pirate! Her genuine character and positive demeanor shine through her answers. Make sure to listen to her awesome new album Roses and catch a live performance while she is still on tour. Check out her site for upcoming shows and tickets! How have you evolved as an artist since Blonde till now? I think I grew up in general, obviously your taste change and all, but I’ve learned a lot from touring about myself and the ones surrounding me. Who other artists/singers influence you and why? Feist, Robyn, Florence Welch, Lykke Li… all strong women that are singers but that write their own material. They inspire me to push the limits and creatively try something new from time to time. Plus their style is on point. How does playing in the US differ from Quebec and France? I play mostly 21+ venues in the states, so for now it’s people that are my age that come to the shows, which is different than in France and in Canada. But I think it’s awesome, I get the best of both worlds and eventually I’ll be able to do all ages shows and it’ll be great. What inspired you to name your album Roses? Every song is like a letter, like giving someone a rose, a message. It felt like a bouquet to me, those songs. What is your favorite song from the new album and why? How about your favorite lyric and why? Probably The Way Back Home, it’s a song that talks about my daughter… I say at one point “We’re looking, we look for different hearts, and once they are found we keep them crossed” when I talk about how people deal with love and how they react when they find it… just little advice for when she will grow up. What do you want listeners to know about Roses? That it’s a new chapter in my life, and it has something to do with what I did before, while staying completely different. Haha. With a family, how has it been on your tour so far? It’s been alright, my daughter is still little so we get to carry her around… it’ll be a different story once she’s in school. I’m confident that we’ll make it work. How has your family influenced your album? It has in my way of seeing things, writing wise… I have a different outlook on life, I’m a little more positive and that’s great. I love what they can teach me, and make me a better person and songwriter through it all. What will be your next tattoo, if any? 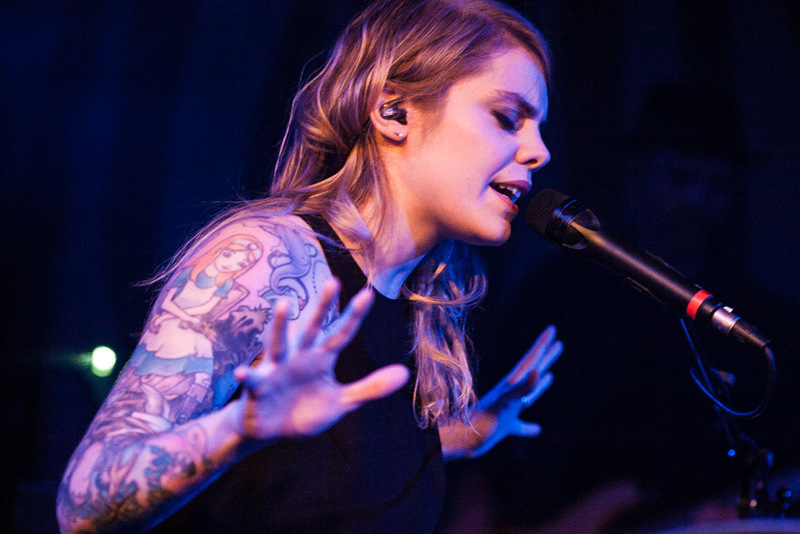 What’s next for Coeur de Pirate? Touring! So much touring, and then we will see. Can’t wait to see everyone on the road.